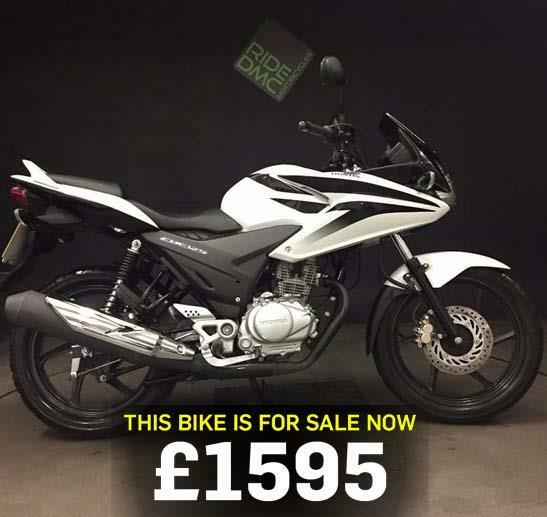 Today's bike of the day is this 2011 Honda CBF125. "Exceptionally low mileage (2,026), very clean CBF125. Fully checked over and ready to go. Spare key, service book, handbook and HPI clear." "Cheap-as-chips replacement for the venerable CG125 offers the same kind dependable utilitarian transport but with a dash of style. The CBF125 has flown out of showrooms since its introduction in January – so much so that dealers complain of not being able to get hold of them quickly enough – and we’re not surprised. It’s a Honda, it’s good looking, it’s cheaper to run than catching a bus, it may be the only transport you need and it costs just a shade over £2000 on the road." Product advice: Best tyres for a Honda CBF125? Is my CBF125’s battery causing it to cut out? "Dependable utilitarian transport but with a dash of style"